I have a project I am working on at the moment, that originally, I thought I could leave the triangles unquilted (46 of them). Well, the linen triangles are a little too puffy for my liking and I really need to quilt them. Using Angela Walters Shape by Shape book to find inspiration on how to quilt these triangles. I love this book. The designs had to be done with my walking foot. I am determined that I don’t need to change my foot on my machine for just these triangles. 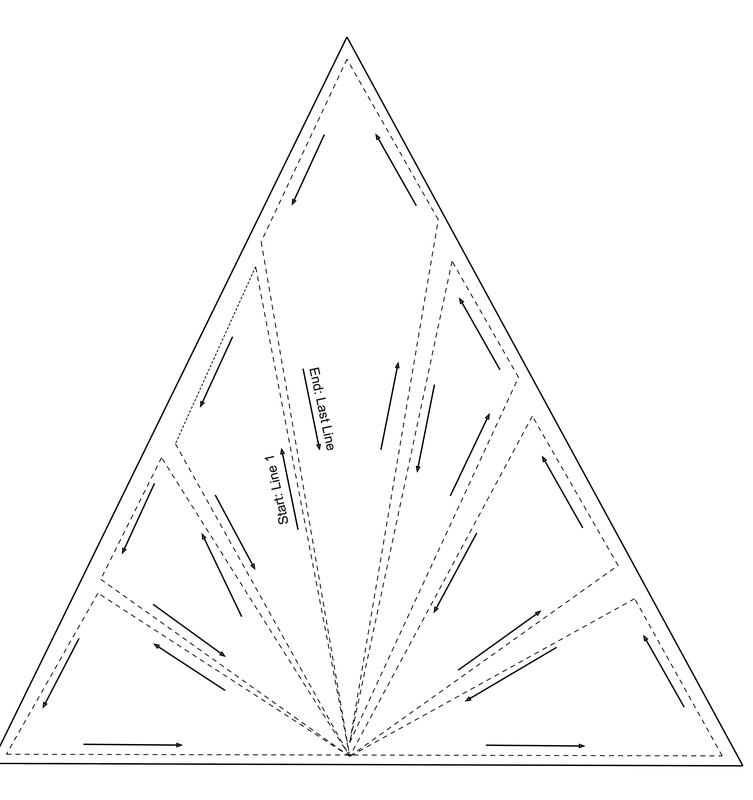 These are the quilting patterns, I came up with for my 4″ triangles. Both of the designs are similar to Angela’s designs for Triangle 1 and 7 but I added some more detail in them to make them my own. This is very similar to Angela’s example (Triangle 7), but I can not help myself….Star Trek badge ;-). I did do some initial marking for this block. I marked the 2 ” center line, and then along that line from the top, I marked 3 lines at a 1″ spacing. These marks are used as rough guides to evenly separate the sections. Looks like the center piece of a tiara, right? I did do some initial marking for this block as well. I marked the 2 ” center at the bottom, and then along the sides I marked a 1″ spacing. These marks are used as rough guides to evenly separate the sections. This entry was posted in Uncategorized and tagged Angela Walters, quilting, shape by shape, triangles on February 10, 2015 by mlwilkie. I like both, but the nod to Star Trek makes the first my favorite. 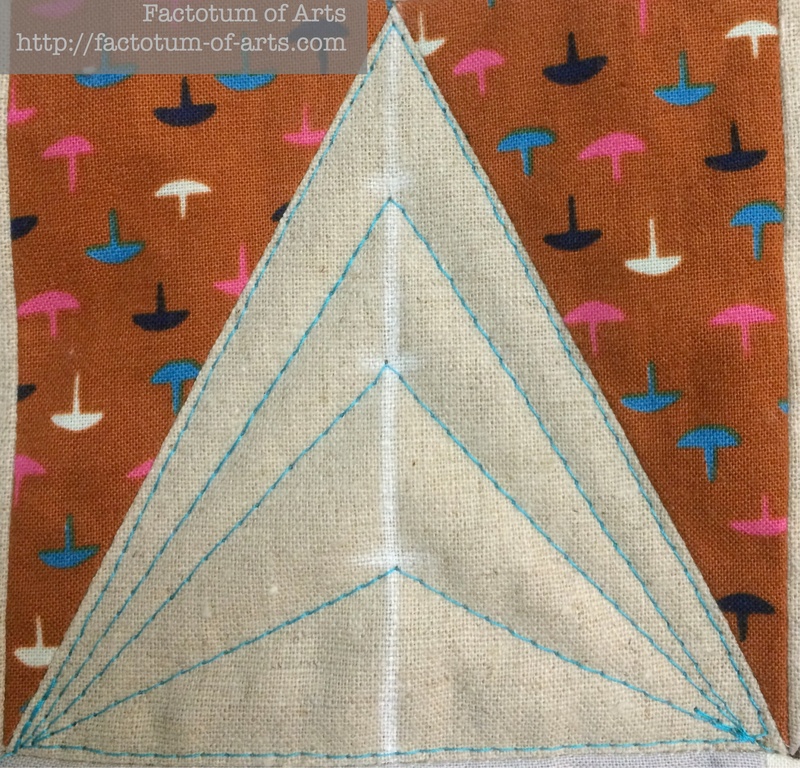 I also really like the contrasting thread and how it makes the quilting really add a lot to these triangles. Oh wow – I love these! That sounds like a fantastic book to have – I get really stuck with knowing how to quilt certain shapes. How did you turn the quilt this much?! It looks awesome. I’m really glad the quilt made you quilt the triangles! 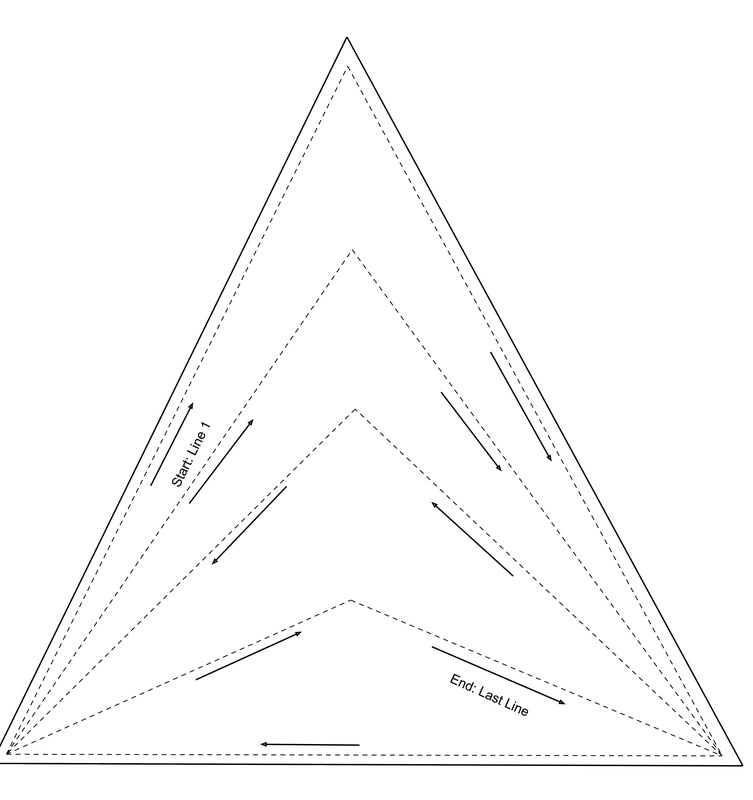 Great options on quilting triangles. I have a triangle quilt I need to pick up backing for and this is a very timely post for me! The quilting looks great, it really adds a great detail. Both these triangles turned out great! I’ll be interested to see the finished quilt. Thank you so much for the drawings marking directions, start and end!! I was just trying to figure out the best way to quilt Crown Jewels and here it is! Can’t thank you enough! Can’t wait to se the final result of your interesting project!! Ha! It does look like a Star Trek badge! 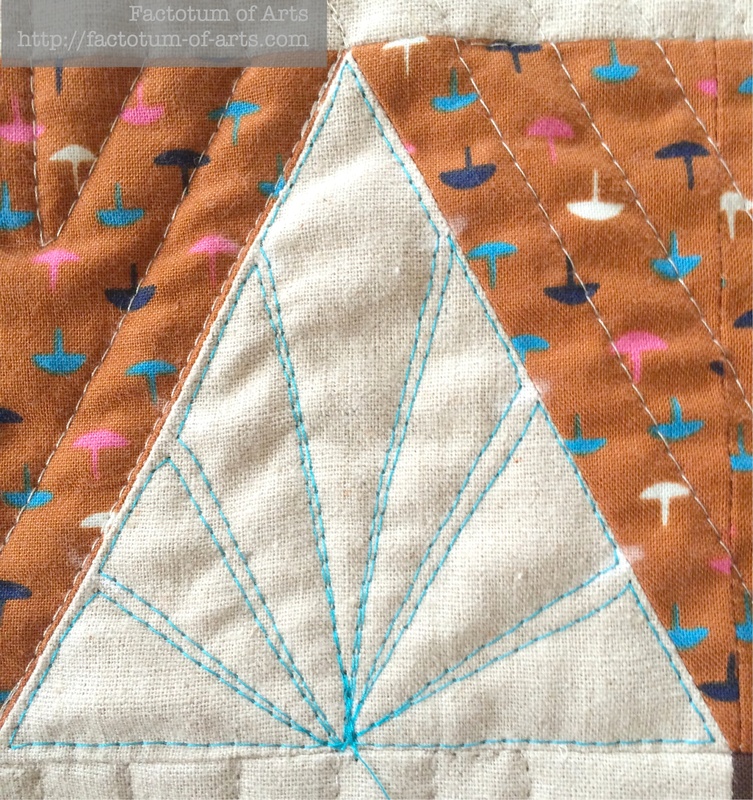 Wish I wasn’t so lazy and in need of getting my current quilt finished or I might give the pattern a try – it would look great with all of the triangle. Love yours!